Idiom: Down-To-Earth; used as an adjective. Meaning: Down-To-Earth refers to people who have a sensible and practical character and/or personality. In the example above, Sabrina is very popular amongst the boys in her class because she has a very sensible personality and values friendship above celebrity gossip. This idiom can apply to any person who has a very practical and sensible personality. This idiom is most often used as an adjective when describing sensible people. Meaning: In this case, the idiom, Down-To-Earth, serves to describe Henry’s practical and sensible decision-making ability. Because Henry has a very practical approach to solving problems, the company was able to provide their employees with a bonus for the year. In this example, the idiom is being used as an adjective. This idiom is from the book "The Idiom Adventure – Fluency in Speaking and Listening," which is used as supplementary material in LSI’s Intermediate Conversation classes. Idiom: Word of Mouth; used as a noun, usually as the object of a prepositional phrase. 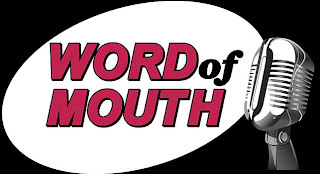 Meaning: Word of Mouth refers to information that was obtained via gossip spread by spoken communication. In this example, the primary method in which information was disseminated was primarily through verbal communication. In other words, before newspapers were invented, people would find out about current events through gossip, rumors, or other verbal forms. This idiom can apply to any situation where information can be obtained through verbal means. This idiom is most often used as an object for the prepositions, “by” or “through”. Meaning: In this case, the idiom, Word of Mouth, serves to express the idea that the rumor behind Cynthia cheating on her boyfriend had been mainly transmitted via verbal communication. Whether or not there is any truth to the rumor is irrelevant. In this example, the emphasis is that the rumor had been communicated orally between different people. In this example, the idiom is being used as a noun.